It's amazing to see how much South African support Netherlands has had in this World Cup. 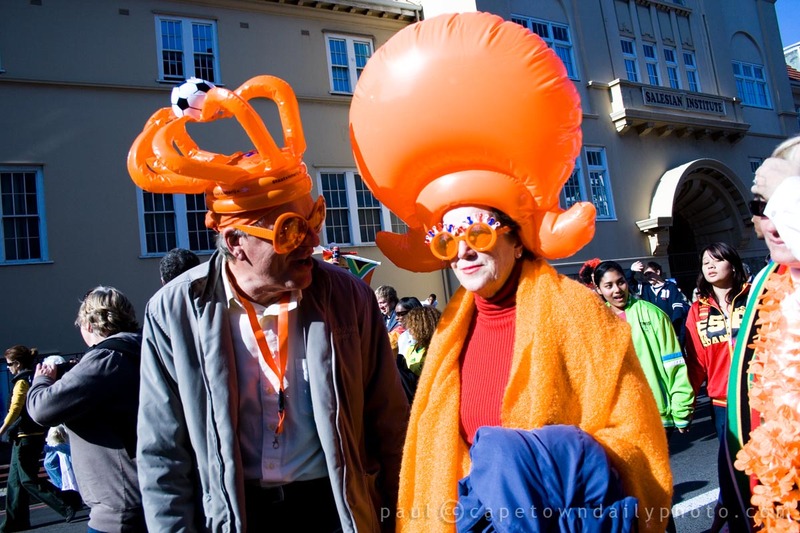 I wasn't at the previous match that the team played in Cape Town, but friends said that the city was a sea of orange with everyone dressed in the Dutch colour. I guess the reason is obvious, and that is that many white South Africans are of Dutch descent and after our own team exited the World Cup they default to support the team of their forefathers, Netherlands. Posted in General and tagged 2010 world cup, people on Wednesday, 30 June, 2010 by Paul. Congratulations to Netherlands on getting through to this stage which apparently they haven’t done since the 70’s – a true rags to riches story. They put on a good show.